To celebrate Lethbridge-Stewart's birthday, a romantic weekend is planned for him and Sally in a remote cottage in the Scottish Highlands. Unfortunately for Sally, freak weather causes her to crash her car. Lethbridge-Stewart, meanwhile, is in Cairngorm investigating UFO sightings. Elsewhere, the Daughters of Earth, a women-only peace movement, are making waves in the political world, but just who is their enigmatic leader? And what links the Daughters with the events of Cairngom and Sally's accident? Sarah Groenewegen was born in Sydney, but now lives in London. 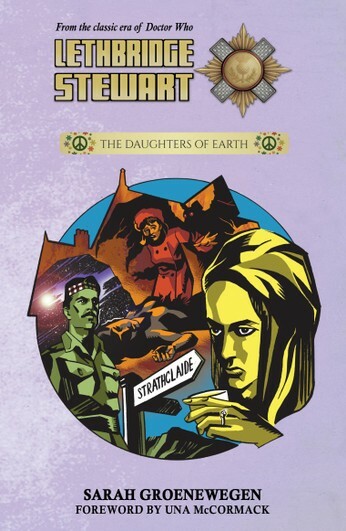 While The Daughters of Earth is her first novel, previous works of hers have included the well-received Lethbridge-Stewart short story, 'The Lock-In' in 2016. She also previously wrote for the Doctor Who Short Trips collections, with stories like Virgin Lands, Hymn of the City, and The Bushrangers Story, and is excited to be involved in such a pivotal moment in the Lethbridge-Stewart series.